Densovirus (HaDNV-1) is a mutualistic symbiont of Helicoverpa armigera, and the infected females occupy advantage in vertical transmission. A model of species competition was posed to understand the influence of HaDNV-1. When the damage of HaDNV-1 is neglected, the stability of equilibria was analysed and a conclusion was drawn that the infected is dominant in Helicoverpa armigera population. Considering the harm of HaDNV-1, the model was modified by raising the mortality of the infected adult and larva respectively to indicate the cost; thereby the mortality was evaluated to lead to the infected pests extinct. 周志香, 王志伟, 刘文平, 等. 棉铃虫综合因素预报模型研究[J]. 中国农业气象, 2000, 21(4): 38-43. 刘硕, 吴凤祥. 棉铃虫预测模型与模拟研究[D]: [硕士学位论文]. 保定: 河北农业大学, 2014. 高增祥, 徐汝梅, 吴子江, 等. 基于生命表参数的棉铃虫种群动态研究[J]. 昆虫学报, 2005, 48(4): 568-575. 苏战平, 张孝羲, 翟保平. 江苏棉区第5代棉铃虫种群动态的模拟及预测[J]. 昆虫学报, 2002, 45(4): 465-470. Xu, P., Liu, Y., Graham, R.I., et al. (2014) Densovirus Is a Mutualistic Symbiont of a Global Crop Pest (Helicoverpa armigera) and Protects against a Baculovirus and Bt Biopesticide. PLoS Pathogens, 10, e1004490. Georgievska, L., De Vries, R.S., Gao, P., et al. (2010) Transmission of Wild-Type and Recombinant HaSNPV among Larvae of Helicoverpa armigera (Lepidoptera: Noctuidae) on Cotton. Environmental Entomology, 39, 459-467. 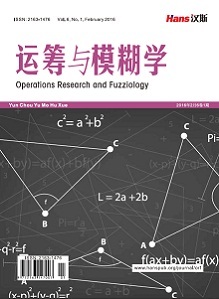 Sun, X., Chen, X., Zhang, Z., et al. (2002) Bolloworm Responses to Re-lease of Genetically Modefied Helicover armigera Nucleopolyhedroviruses in Cotton. Journal of Invertebrate Pathology, 81, 63-69. Sun, X., van der Werf, W., Bianchi, J.J.A., et al. (2006) Modeling Biological Control with Wild-Type and Genetically Modified Baculoviruses in the Helicoverpa armigera-Cotton System. Ecological Modelling, 198, 387-398. Li, J. (2008) Differential Equations Models for Interacting Wild and Transgenic Mosquito Populations. Journal of Biological Dynamics, 2, 241-258. Smith, H. (2010) An Introduction to Delay Differential Equ-ations with Applications to the Life Sciences. Texts in Applied Mathematics, Vol. 57. Springer, New York. Liu, S. and Chen, L. (2002) Extinction in Competition and Permanence in Competitive Stage-Structure System with Time Delay. 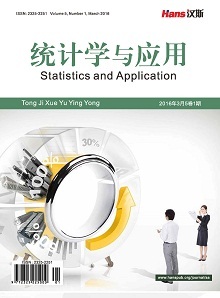 Journal of Mathematical Analysis & Applications, 51, 1347-1361.